Woodland’s middle school students get the opportunity to get their hands dirty while making beautiful artwork by participating in an after-school Pottery Club. 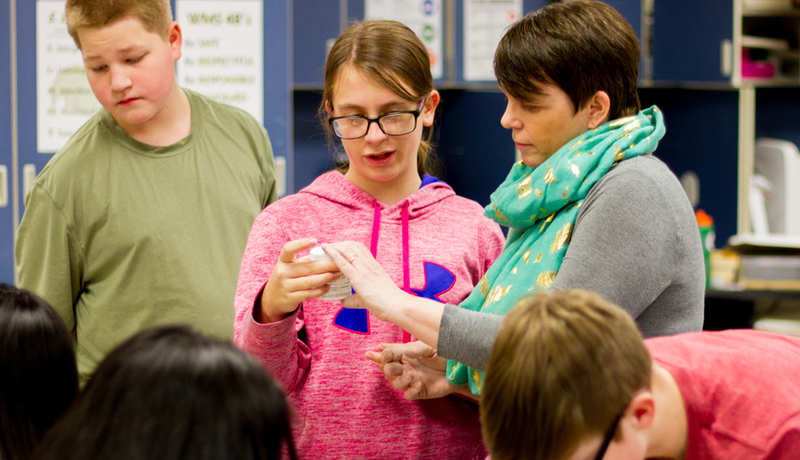 The Pottery Club drew a large amount of interest from its very first day with 15-20 students attending every meeting to throw pots, make artwork from ceramic slabs, and get their hands into clay. 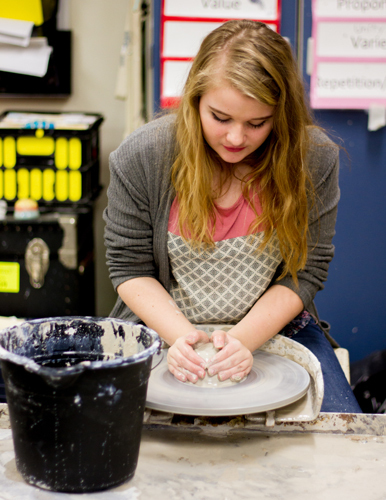 Any student can attend the after-school club free-of-charge as all supplies and materials are provided at no cost to enable students from any background to learn how to create their own ceramic art. Students like Maddison Wale (8th grader, pictured here) wanted more time with the throwing wheel and encouraged Ms. Caulfield to create the after-school club. 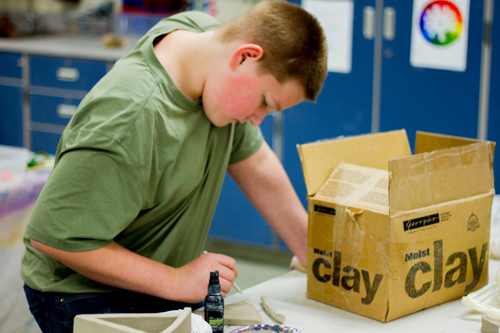 Kanden Hendrickson (8th grader) attends the club so he can create three-dimensional works of art. 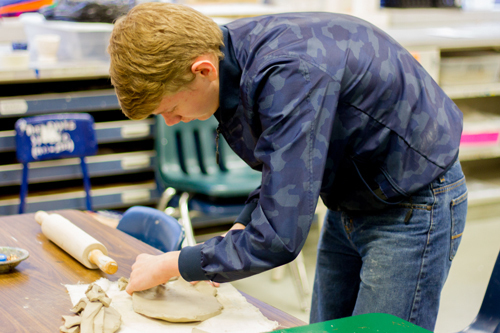 Carson Kaml (8th grader) enjoyed Ms. Caulfield's classes in school, so coming to an after-school pottery club was the perfect fit.